If you love chocolate chip cookie dough you guys will love these! 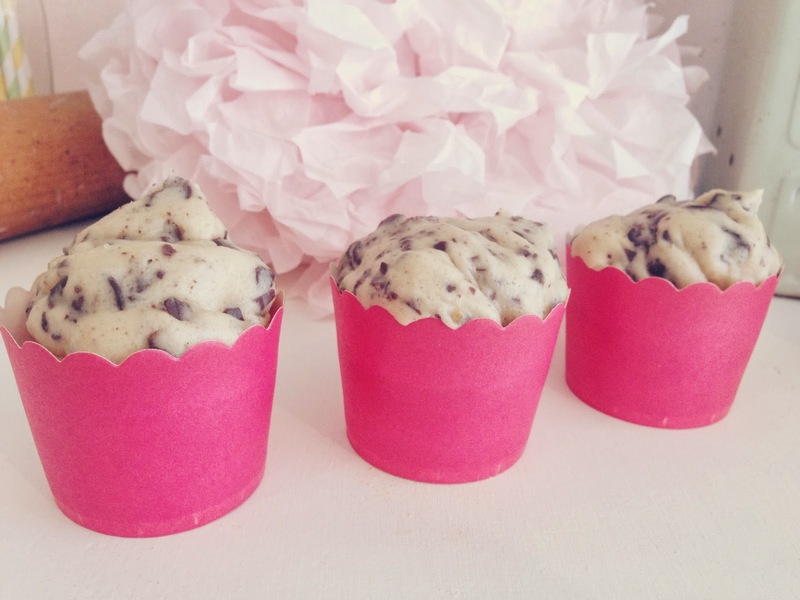 These cupcakes are topped with cookie dough that is safe to eat because there are no eggs! Who doesn't love eating cookie dough?! Step3: Add flour mixture and milk alternately, starting and ending with flour. Use an ice cream scoop to place batter in liners. Step 1: With an electric mixer cream together the butter and brown sugar, next add in the vanilla.